The Tiertime Up Mini 2 is the best choice for most people. 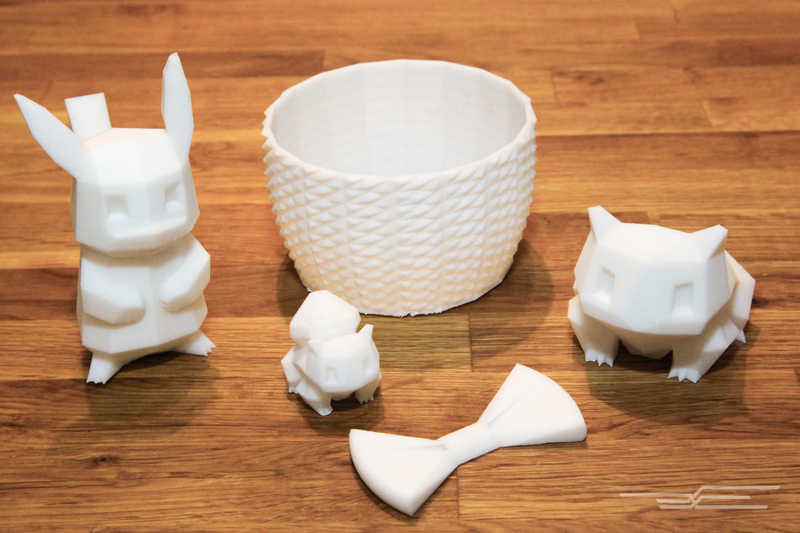 Though 3D printers have until recently been too expensive and complex for curious beginners, it's possible to find a relatively inexpensive and approachable model to use at home. We spent 20 hours researching and testing three of the best beginner-focused 3D printers we could find and think the Tiertime Up Mini 2 is the best choice for most people just starting out with 3D printing. It has the best combination of reliability, features, and style. It was the easiest to set up and produced the highest number of great-quality prints of all the printers we tested. If you have been thinking about buying your very first 3D printer but don't have much experience with the technology, both our top pick and budget pick are good options for you. 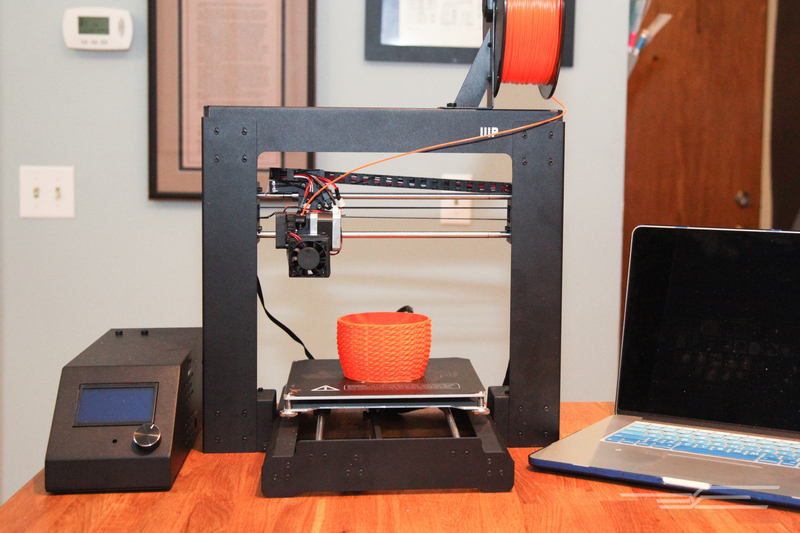 Each printer currently retails for $600 or below and is designed to be friendly to beginners. There is minimal assembly required, and software and setup are relatively accessible. But be warned that no 3D printer is unbreakable. A day will come when you'll need to replace a part or get your hands dirty in some other way. You might want to avoid 3D printing altogether if you have a tough time with minor fixes to appliances. Prospective buyers should also be aware that the 3D printing industry is constantly in a state of upheaval. It's not out of the question that you might someday find yourself without much support from a company. It's also possible that a new breakthrough will suddenly leave you with outdated technology. We turned to user reviews on sites like Amazon, plus guides from 3DForged, All3DP, and Make to develop a short list of the best inexpensive 3D printers, in addition to consulting experts. We looked for an ability to reliably print good-looking parts straight out of the box with as little maintenance required as possible. We looked for machines that were under $600 and still had as many premium features as possible: heated beds and large print volumes were both bonuses. Nonproprietary filament was another important factor. For more on how we picked, see our full guide. We decided to test three models that offer a mix of desirable features, relatively high-quality parts, and positive reviews online and among the experts we spoke to. During testing, we made note of ease of assembly, including the initial software installation and navigation process. Then we got to printing. Each printer was required to produce two models picked to demonstrate a range of each printer's basic capabilities before moving on to printing other models. Each printer got eight attempts to produce as many acceptable models as possible. We also noted how many times we had to repair the printers, how often they needed their print beds leveled, and what it was like to remove completed models from the print bed. The Tiertime Up Mini 2 was the clear pick due to its winning combination of reliability, features, and style. It was the easiest to set up and produced the highest number of great-quality prints out of all the printers we tested. One after another, the prints came off of it looking perfectly smooth, with only faintly visible lines between the layers. Unlike the others we tested, there was never an obvious error. The Mini 2 has the most features out of the group we tested. It has a heated bed and enclosed printing space, which helps keep temperatures even while printing. The printer has a touchscreen and can print over Wi-Fi or USB; both of are almost unheard of in a printer under $600. The Maker Select v2 (more on that below) relies on the open-source Cura software, a plus for users already familiar with the interface or who want finer control over the machines, but the Mini 2 came with proprietary software that is much simpler to use. The Mini 2's print bed also slid out of the machine for easy model removal. Although the Mini 2 has a relatively enclosed design that might intimidate beginners looking to make a quick fix, the design also indicates Tiertime doesn't expect many breakdowns. Plus, the warranty is good for 12 months. 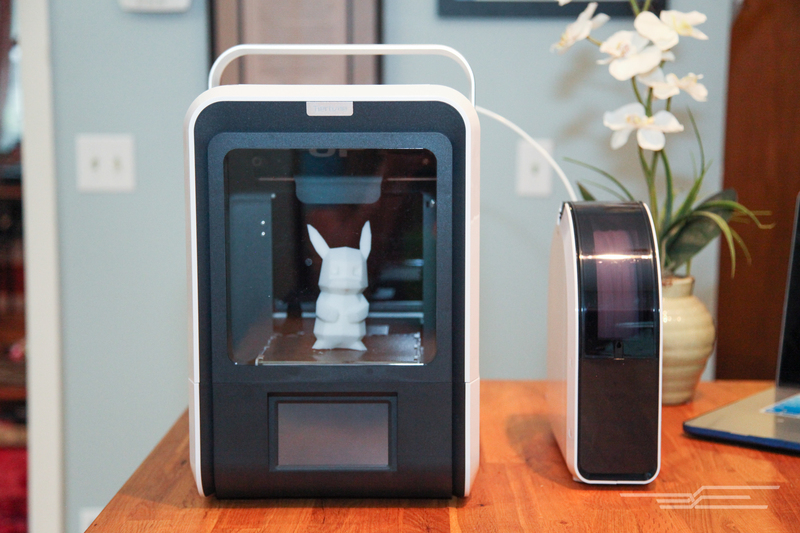 The Monoprice Maker Select v2 was the surprise runner-up to the Mini 2. For an unusually low price, you get a heated print bed and a respectable 7.9 by 7.9 by-7.1-inch print volume—the largest of the group. We also liked that you could load models onto the printer via a microSD card and start prints on the printer itself, negating the need for a computer between prints. However, its onboard control menu is difficult to navigate and likely confusing for beginners. The Maker Select v2 is based on one of the original 3D printer designs. It's clunky and the most difficult of the group to assemble, but by not breaking the mold, it can rely on the years of thought that have gone into refining this style of printer. It failed zero times during our eight test prints—the best out of the group. The models produced by the Monoprice did come out with a few visible lines here and there where the layers of plastic separated. So though the results weren't quite as nice as those that came off the Mini 2, the Select v2 proved itself to be a reliable workhorse.